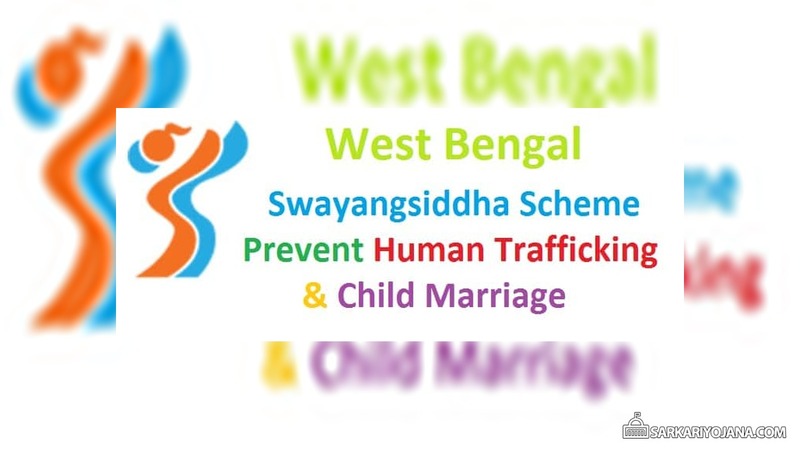 Firstly Swayangsiddha Scheme was launched by the police in South 24 Parganas district. Various Swayangsiddha Groups have been formed in schools and colleges comprising of interested students of district especially b/w age group of 12 to 21 years. Child Protection Committee monitor and provide guidance to these groups. In 1 district only, around 3,862 students have formed Swayangsiddha groups. Among these, around 69% are girls and 31% are boys who shares information on human trafficking, child rights & ill effects of child marriage. After the successful implementation in South 24 Parganas district, govt. will extend this scheme to other districts. To raise awareness on human, gender, child rights and strengthen prevention of human trafficking and child marriage with converging approach. Engagement of youth from different schools and colleges to combat human trafficking and prevent child marriage. To strengthen response mechanism along with Police and child protection committees to make safe community. Providing appropriate education, training, livelihood and food security to vulnerable groups. Formation of Swayangsiddha Committee (Block & District level) – At block Level, Child Protection Committee conducts meetings 2 times in 1 month presided over by BDO to ensure that children from vulnerable families get necessary facilities. Shikshabandhu, Paralegal volunteers, Anwesha Clinic Counsellor, members of Panchayat / Wards provides cooperation to the Committee. A district level meeting will be organized under the leadership of DM/ADM in every 3 months duration. This meeting will address various issues through discussion. Best performing Swayangsiddha Group would be felicitated after 1 year by the district administration and the police. Now this scheme will be extended in all the districts. Mapping of natural resources of villages and to raise awareness in the community on rich cultural significance of their respective areas. Cultural Map would be prepared to display the cultural tradition in the village and list of folk art & artists would be prepared to provide info. about human resources in villages. List of families vulnerable to child marriage, human trafficking and illiterate families would be prepared and submitted to Child Protection Committee. The committee would then link these families to various government schemes and would prevent any illegal activity from happening. Maintaining a list of illiterate people and school dropouts in nearby villages and will have to submit this list to schools and Panchayat. Holding discussion sessions on the issues of human trafficking and child marriage in schools after prayer session. Celebrations of important days in schools to raise awareness. Organizing activities like poster drawing, wall-painting, wall-writing, cultural programmes, street play, candle vigil, cycle rally etc. Swayangsiddha Groups submits their activity reports once in every 2 months duration. They shares their reports through mobiles or computers with assistance from nominated teachers to police. Till date, on the basis of information received, around 20 child marriages have been stopped.